According to Howard, everything the stores sells is hand crafted at their Boston location. 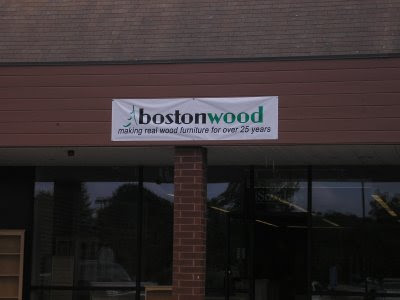 Bostonwood got its start selling to Boston's college students and nearby residents. While Bostonwood, opened a second location in Watertown 11 years ago, Howard recently realized they were making a lot of deliveries West of Boston and decided to look for a third location and Bedford seemed like a good location. With the business going well, it seemed like a good idea to take advantage during the current economy. 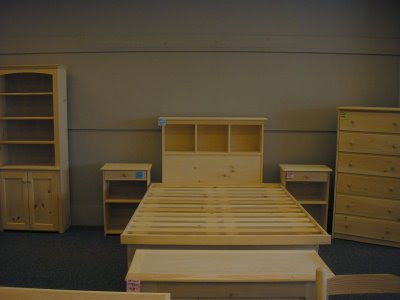 While the store displays a few hundred prebuilt furniture items such as bookshelves, desks, bed frames and cabinets, almost 60% of the orders are made to order. So for example, say you like a desk, but would like it to be 5 inches wider and 3 inches taller, they can build to your custom dimensions. The same is true if you want a specific design attribute like an extra drawer. 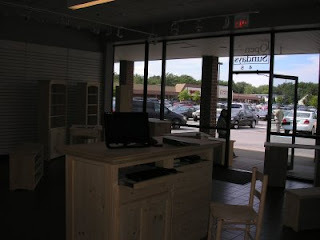 So while the store may display 20 different desks, they have designs for over 4,000. The Bedford "showroom" features hundreds of items. 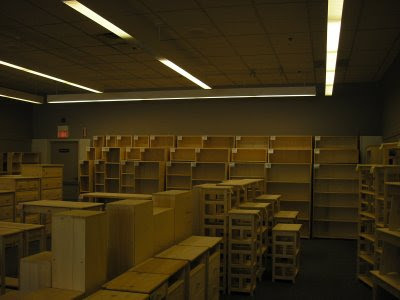 The store features a wide variety of items from simple storage cubes to large bookshelves with desks being the most popular item. According to Howard, some items take as little as 15 minutes to make while others can take a few days. It normally takes about 3 weeks from when an order is placed until it's ready for pickup. All of the Furniture is unfinished and while about 70% of their customers do their own staining, Bostonwood does work with several outside companies who can do the staining if the customer requests. These storage cubes were originally designed to hold record albums. According to Howard, all of their furniture is made with real wood, there is no particle board. Also Bostonwood is very focused on being environmentally friendly so all glues are water based and all products are free of formaldehyde and other Volatile Organic Compounds. 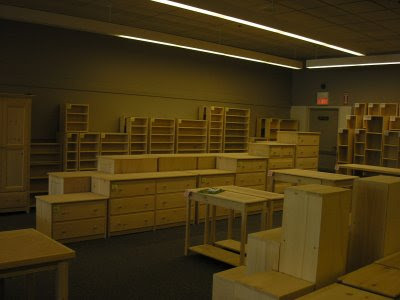 Bostonwood prides itself on minimizing resources by reusing some wood scraps to build slotted bookcases while the rest are used to help heat it's Boston store. 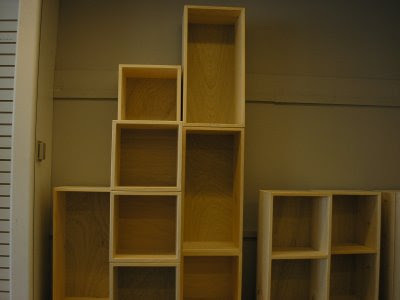 All of the furniture can be made to order to a specific size and/or design. Bostonwood also offers delivery for a fixed price regardless of the number of items you want delivered (as long as they can all fit on its delivery truck). 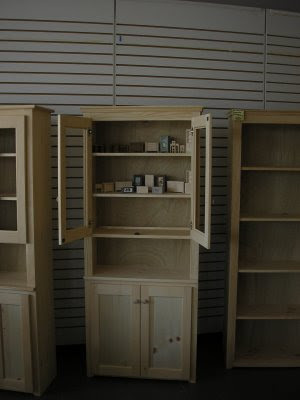 Bostonwood also sells Miniature Furniture made by Bedford resident Bruce Dawson. Click on the image for a larger view. Bostonwood uses it's own furniture. Seen here is the checkout counter. The store will soon replace this temporary sign with a permanent one. It's interesting to note that the retail business in Bedford appears strong compared to the surrounding area. While other towns like Burlington or Lexington have lots of recently vacated retail space, Bedford has very little (the most recent being Bedford Laundromat and UFood Grill). 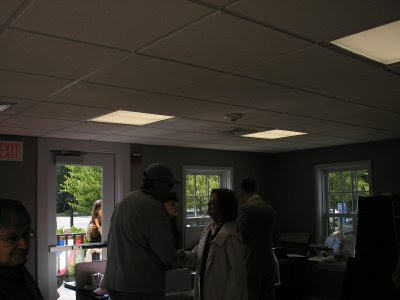 On Monday June 15th, a ribbon cutting ceremony was held to celebrate the renovation of the Bedford Depot Freight House. The total project, including Depot Park has taken over 15 years to complete. The project included improvements to the Intersection of South Road and Loomis Street and safety improvements to the area. 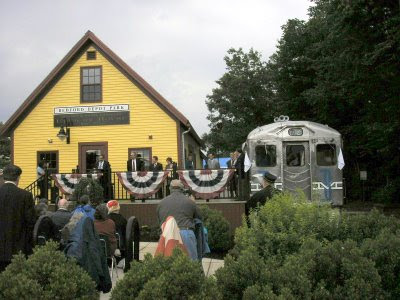 The Freight House was originally used to store/service the Engines for the narrow gauge Billerica and Bedford Railroad. Two engines could be stored at one time. The Friends of Depot Park have been the driving force in getting this project off the ground. The interior has been totally redone and will continue to be staffed by Friend of Depot Park who will sell Refreshments and Souvenirs. The revenue generated will help keep Depot Park self sustaining. 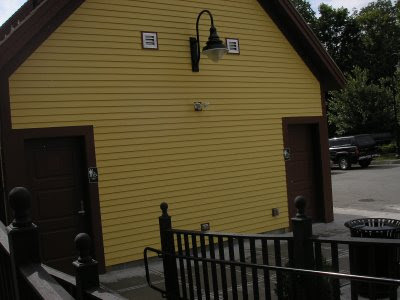 As part of the renovation, 2 sorely needed public bathrooms were added as well as handicap access to the Freight House. 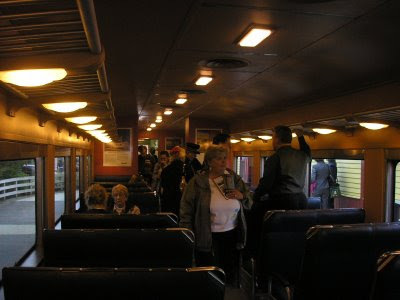 The Interior of the Train has been restored to it's original look it had in 1955 and includes wooden floors and decorative lighting. 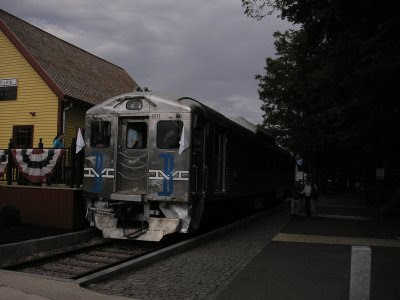 The train can be rented out for private gatherings. 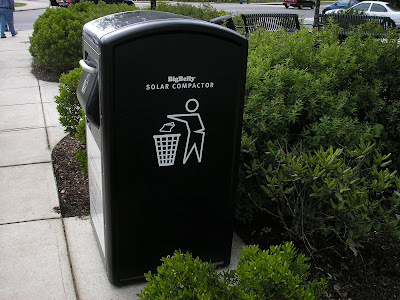 As part of the renovation, a Solar Powered Trash Compactor was installed. All this improvements along with the recent addition of the Bedford Farmers Market, has really updated this area and serves as a destination point for the Bedford end of the Minuteman Bikeway. In addition, the old Bedford Depot is undergoing a roof renovation. While the Freight House will likely be well utilized by Bedford Residents and users of the Bike Path, I think the addition of a adjacent restaurant (preferably with Outdoor Dining) would be very well received. It's possible the Bedford Depot could be renovated to meet this need. Here is how the Freight House looked before the renovation.